Fiestas are all part of the local culture in Spain and Las Hogueras de San Juan in Alicante (Bonfires of St John) coincide with the Summer solstice in June and is a wonderful time to visit and take part - you will never have seen anything like it! The most famous part of Las Hogueras de San Juan is the blazing hogueras (bonfires) on the evening of the 24th June. The celebratory bonfires originally were part of an agricultural pagan ritual marking the longest day of the year - 21st June - and, traditionally, were nothing more than piles of old furniture collected during house clearance. But today, they are elaborate works of cardboard, wood and paper mache called ninots. Beginning on 19th June and culminating on 24th June, these enormous figures are erected all around the city centre, (each one has a ninot for the adults and a separate one for the children). The lead up to the 24th June is marked by colourful parades, flower offerings, bull fighting festivals, music concerts, parades, beauty contests, all night street partying and daily choruses of the deafening mascletas (firecrackers)! Next to many of the hogueras is an open-air cafe with tables and music. These cafes are called barracas, and the local people belonging to one barraca or another contribute money all year round to finance the food, drink and music. After the evening dinner, live bands start to play in the barracas, and dancing goes on all night! In addition, there are many stalls throughout Alicante selling an amazing array of colourful meats, BBQ's, paellas etc to the general public. 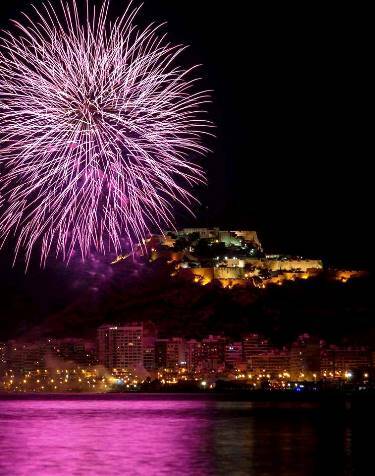 At midnight, on the last night of fiestas, an enormous firework is let off from the top of the Santa Barbara castle and lights up the city, signalling the lighting of the hogueras - the first one being in the Town Hall square. 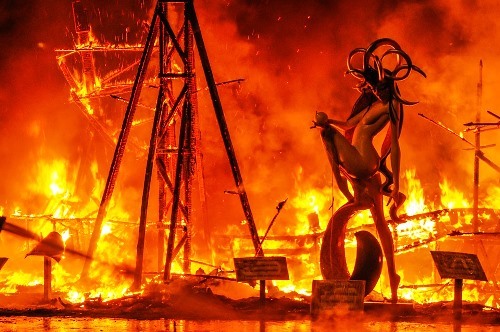 Starting at midnight on the 24th June and according to a timetable set by the bomberos (firemen)in Alicante, the statues are burnt one by one - to much cheering. Set alight by firecrackers, they burn to loud cheers and then, according to local customs, the fireman are taunted with insults and then screams of Agua, Agua (water, water!) as one of the highlights of the evening is when the firemen turn the hoses on the crowds! 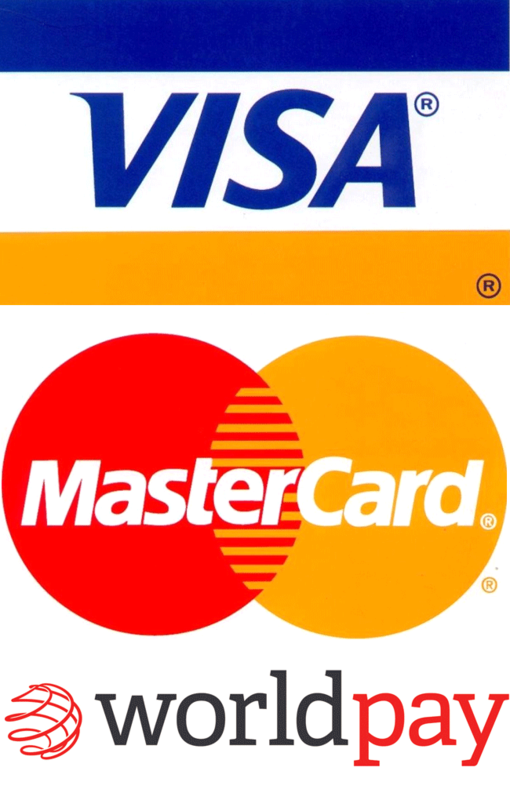 Please see our What's On Page for full details! Once all the hogueras are burnt, the party then continues all night until sunrise with drinking and dancing in the streets! For 5 nights after the San Juan Hogueras fiestas have finished, firework displays are held on the main Postiguet Beach in Alicante. Thousands of people gather on the beach at 11.30pm, to sit on the sand and watch the wonderful displays which begin every night at midnight. The Hogueras, as with all fiestas in Spain, with their noise, atmosphere and colour is something not to be missed - for ALL the family, so why not rent a villa with Alicante Holiday Villas in June and join in the fun!